Wishing you could sneak away for a relaxing time at the beach?We’ve got the perfect plan! Saint Mark’s Tuscoba SeaSide Escape is a relaxing beach-themed retreat the women of our church are doing together. It includes worship, Bible study, and time for laughter as well as time for quiet reflection. Our retreat will be held May 4th, 2019 at the beautiful nearby, Camp Tuscoba. The cost is $20.00 per person. This covers your personal Participant Guide and session supplies. Lunch and snacks will be provided. Registration begins at 8:30am with the first meaningful session beginning at 9:00am. We will finish our full, fantastic day at 4:00pm. Take time to relax, make new friends, worship, and bask in the warmth of God’s presence. We hope you’ll join us at Saint Mark’s Tuscoba SeaSide Escape. Mark & Susan Lacey will lead us as we watch a video recorded weekend Love & Respect Seminar hosted by Dr. Emerson & Sarah Eggerichs! This class is coming to Saint Mark Wednesday nights this Fall, lead by Mark and Susan Lacey. Reservations close Sunday, February 10th! Return this form WITH PAYMENT OR PAYPAL PAYMENT INFORMATION to 1) Becky Yeager by email at secretary@saintmarknorthport.com or 2) to Becky in the St. Mark church office (339-5990) or 3) to the Marriage Ministry tables on Sundays at St. Mark or 4) EMAIL form to norma@lemleys.net. If you have questions, call or text Norma Lemley at 205-344-1012. 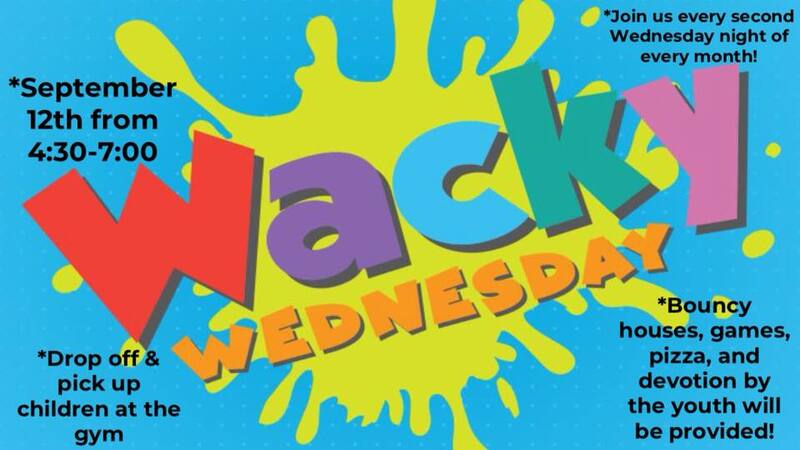 Children activities and praise and worship & child care start at 5:30 pm. Simulcast starts at 5:45 pm. Reservation for kids & dinner required by Jan. 20! This is a FREE event and registration is still open! Walk-ins Welcome! Blood Drive in the Family Life Center from 11am-4pm Thursday January 3rd. Please join us for a Christmas Eve Communion Service as we complete our Road to Christmas Advent Series. Remember all are welcome at God's table. Happy Birthday Jesus Celebration- Breakfast with Santa! Refreshments will be served after the program in the Family Life Center. We hope you will join us each Sunday for this 2018 Advent Season concluding on Christmas Eve at 6pm with a Candlelight Service in the Sanctuary. This months proceeds will benefit Lynn Haven UMC (Panama City) for Hurricane Michael Relief. 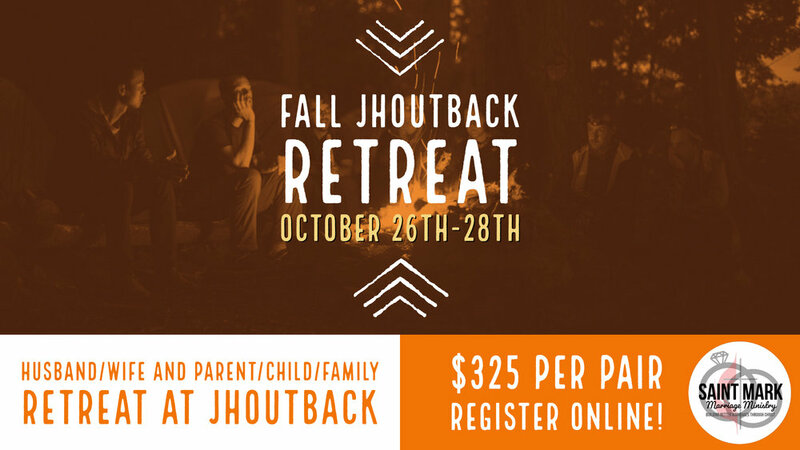 This get-a-way, facilitated by dozens of volunteers from area churches, is designed to build, strengthen and/or restore these family pair relationships: Father & Son, Father & Daughter, Mother & Son, Mother & Daughter, and Husband & Wife. The Parent-Child adventures are for parents and their children ages 13 and older. The Husband & Wife program is for marriages at any stages. Family pairs are engaged through creative and fun outdoor activities, live music, and great food. Practical content is provided in a variety of ways, including skits by LA actor and Christian comedian, Travis Crim (former Alabama football player/youth pastor), personal talks, and precious time with your family member. Campers leave with a deeper understanding of life purpose, leadership, and practical ways to strengthen their family relationships. Married couples also learn their love languages, personality types, and other practical tools on how to strengthen their relationship with God and with their spouse. The cost for this weekend is $325/pair (covers lodging, all meals & snacks, materials, program, etc.) Register online at: https://campscui.active.com/orgs/OutbackAmerica0#/selectSessions/784702. Scholarships are available--please let Danny or Norma Lemley know if you desire financial assistance. The purpose of this event is to make members aware of opportunities to serve inside as well as outside the church. Everyone has some sort of gift they can share. We are encouraging every Sunday School Class and ministry group to have a display promoting their activities and mission projects. There will be opportunities to discuss with different groups what they do, who they serve, and how you can get involved. This would be a great opportunity to invite visitors and also recruit members of the church who are not members of a class. There will be light refreshments, coffee, and juice provided. The Men's Prayer Breakfast is held at the Northport McDonald's at 6:30am on Saturday Mornings. We welcome new attendees!